There are two types of LMI Pump Assemblies – Drive Assemblies & Liquid End Assemblies. You can purchase many of these products right here online and some part numbers need to be looked into for price and availability. 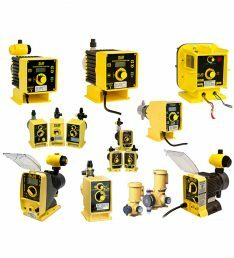 If you are have any trouble locating the right assembly for your specific chemical metering pump, please give us a call or send us an email using our contact form on the home page. If you search and do not find the exact part number you need, we can locate that for you and delivery as soon as possible.